One of al Qaeda's top chemical and biological weapons experts was killed in an air strike by a CIA pilotless drone in a remote Pakistani border region, senior Pakistani intelligence officials told CBS News Tuesday morning. Intelligence officials investigating the early Monday missile attack confirmed that Midhat Mursi al-Sayid Umar, also known as Abu Khabab al-Masri was one of six men killed and his remains had been positively identified. "We now have a positive ID on the body. I can confirm to you that Al-Masri has been killed," a Pakistani intelligence official told CBS News on the condition of anonymity. Earlier reports claimed that the six men killed included three Arabs, while the other three were believed to be Afghans or Pakistanis. However, the intelligence official who spoke to CBS Tuesday said all six men were Arabs. Those killed also included Sheikh Ibrahim, a mid ranking al Qaeda operative believed to be either Egyptian or Jordanian. The other four victims were described as ordinary foot soldiers. The intelligence official did not provide the full names nor the citizenship of the four lower ranking militants. 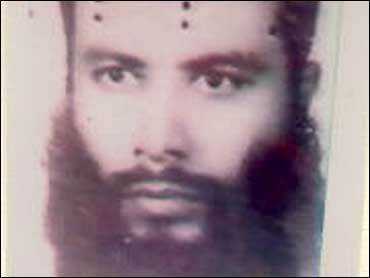 Al-Masri, an Egyptian national, became notorious for developing chemical and biological weapons for al Qaeda. He was known to have used a variety of animals, including dogs, cats and frogs in brutal experiments which often left the animals dead. The Western security official, who spoke to CBS News on condition of anonymity, said al-Masri's animal experiments were filmed and used by al Qaeda to train new volunteers in the use of chemical and biological weapons. The attack took place in Waziristan - a region along the Afghan border which has become notorious for its local tribes playing host to al Qaeda and Taliban militants, including some who fled U.S. and NATO forces in Afghanistan. While al-Masri was among al Qaeda's senior-most operatives, it was difficult to ascertain the damage his death could theoretically inflict upon the terror group, if confirmed. A senior Pakistani security official, who also spoke to CBS News on condition of anonymity, said that, despite heightened fears after Sept. 11 that al Qaeda was determined to carry out chemical and biological weapons attacks, the group has largely relied on suicide and conventional arms attacks in locations such as Iraq, Afghanistan and Pakistan. "Al Qaeda has never proven itself as a potent force in using chemical and biological weapons," said the official. "If al-Masri has in fact died, his death will not cripple al Qaeda or the Taliban." The timing of the report on al-Masri's death also aroused suspicion - coinciding with a visit to the White House by Pakistani Prime Minister Yusuf Raza Gilani. In the past week two U.S. officials, speaking on deep background, told CBS News that they expected Pakistan to overtly demonstrate its support for the U.S. fight against terrorism by assisting in the arrest or killing of an important Islamic militant, close to the time of Gilani's Washington trip. Though the attack was carried out by the CIA, the Pakistani official who spoke to CBS News said, "this case once again demonstrates that without active cooperation from Pakistan, key militants cannot be targeted" in the border region. The official refused to elaborate on the kind of support that may have been extended by Pakistan. Western diplomats told CBS News that Pakistan may have supported the U.S. in tracking down al Masri. However, many concerns remain that Pakistan's border territory remains a haven for senior militants. "Every time you have someone prominent like al-Masri getting killed in Pakistan, everybody has good reason to ask, 'Why are all these people getting found in Pakistan? Shouldn't Pakistan do more to push out these guys from its soil,'" asked one diplomat, who asked not to be named. Gilani, appearing Monday on the White House lawn after meeting President Bush, told reporters, "We are committed to fight against those extremists and terrorists who are destroying and making the world not safe." President Bush said Gilani had made a "very strong commitment" to securing the Pakistan-Afghanistan border region, which the U.S. considers the principal gateway for Islamic militants crossing back and forth from Afghanistan to attack Western troops. Farhan Bokhari has been covering Southeast Asia for several large European news organizations for 16 years. Based in Islamabad, he focuses his coverage on politics and security issues surrounding the war against terrorism.